Please note these tutorials are NOT for resale , for personal use only. These tutorials are COMPLETELY FREE and available to download in PDF format. PDF Files can be printed or viewed on your computer. 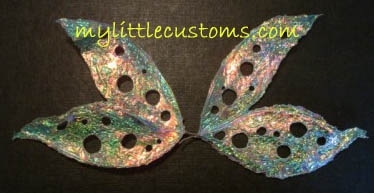 Would you like to learn how to make beautiful soft iridescent Angelina hot fix Fibre one of a kind fairy wings?I have written a simple, easy to follow, tutorial available to download RIGHT NOW! 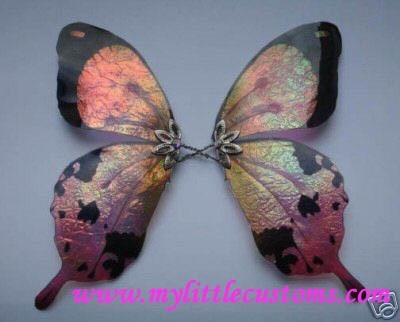 Would you like to learn how to make beautiful rainbow iridescent ragged one of a kind fairy wings?I have written a simple, easy to follow, tutorial available to download RIGHT NOW! 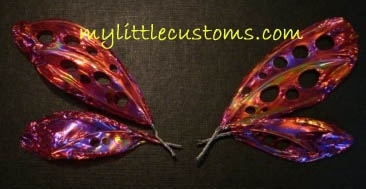 Before you know it you could be making wings like these! I’d like to know where you find your completly separated wing patterns. Because on pictures I found on internet or elswhere, thetop wing always overtake on the inside wing. I hope you’ll understand my mail because I’m french and my english is not very good! I was given a my little pony in some need of T.L.C. Her tail is completely missing. How do i re-root a pony tail? love your site!! great information!! First off let me tell you that I am in awe of the stunning wings you have presented here. Truly, truly G.O.R.G.E.O.U.S!! I have been trying to take a peek at the PDFs for these projects but they are not coming up, and yes, I do have a PDF reader. The screen loads with a completely black background then switches to a white background. and then nothing. Any chance of you sending them to my e-mail? Thank you so much for sharing these little beauties. I can certainly send them via email for you, that is not a problem – would you like me to send them to your msn email address? 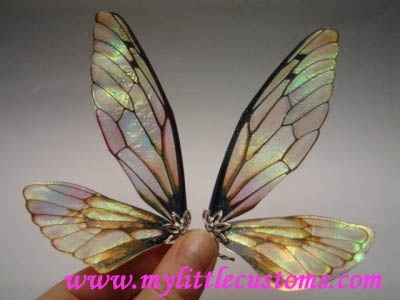 Any idea how to make something similar to these Black Fairy Wings? I just saw your response Robin! Not good with crafts but ready to experiment for black Halloween wings though! 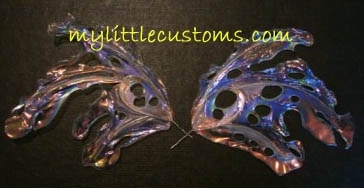 Not good with crafts but ready to experiment with Black Halloween Wings though! Have you stopped stocking wing film? I can’t seem to find it. We did stop stocking the wing film. You can get it from most hobby stores, it is called angelina film. If you are in the UK then Hobbycraft stock it. I am not painting on the film. I am using images from this link – http://www.elvenwork.com/wings.html I print them onto acetate and then add the Angelina over the top of them. Your sculptures look really good. I hope you have some luck with the method. Could this be done strong enough for a real person to wear? It could possibly be strong enough if you used thick wire. You would need a lot of the film to do it so could be expensive. 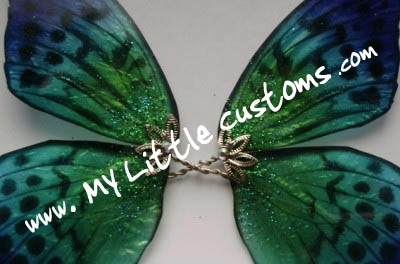 I was wondering if you had a way to make wings large enough for a costume that still look as realistic as the small ones you’ve made? Angelina film or fibre is the best to use. How do you attach the wire? What kind of glue and where do you place the ends? You seal the wire in when you heat the film or fibre. you have a little overlap that you flap over. 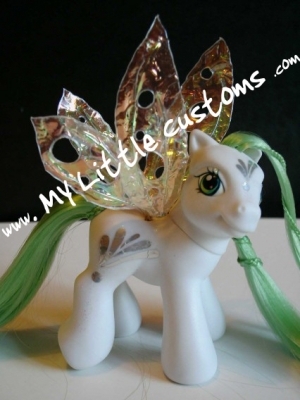 The ends of the wire are best used to attach to the doll or pony with.